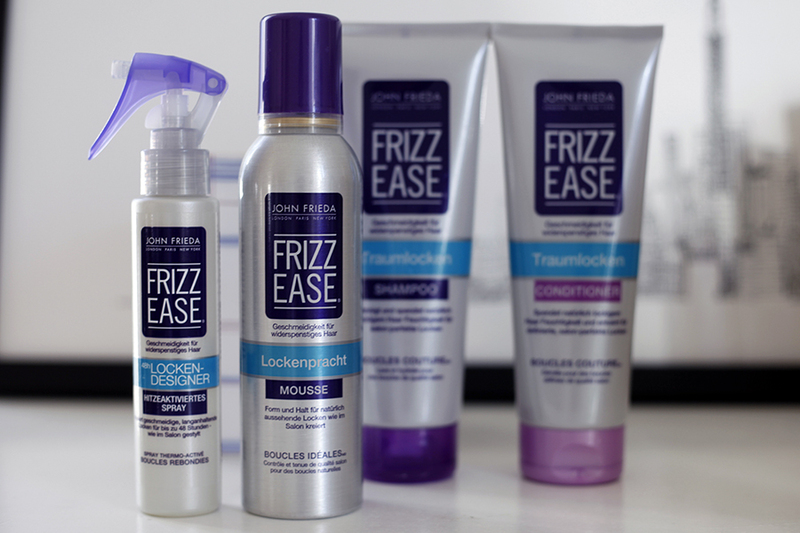 Bonsoir Chérie: Dream Curls with John Frieda - Christmas Surprise - Win the products! 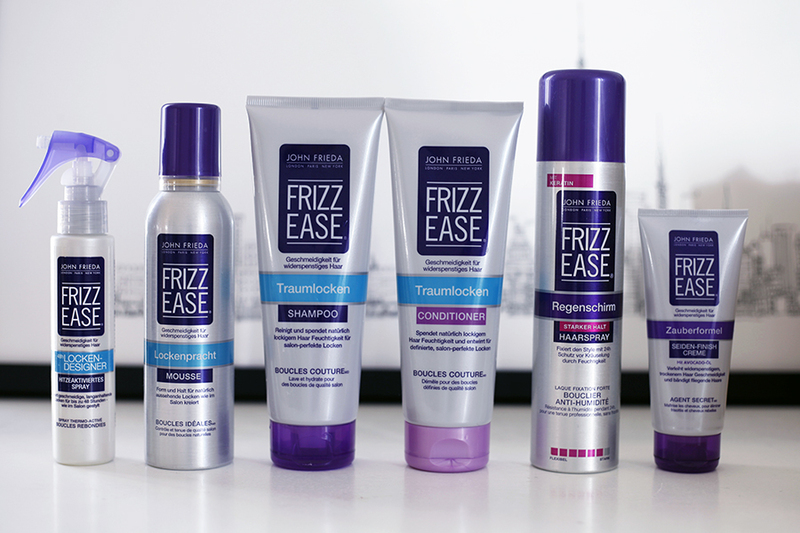 Dream Curls with John Frieda - Christmas Surprise - Win the products! 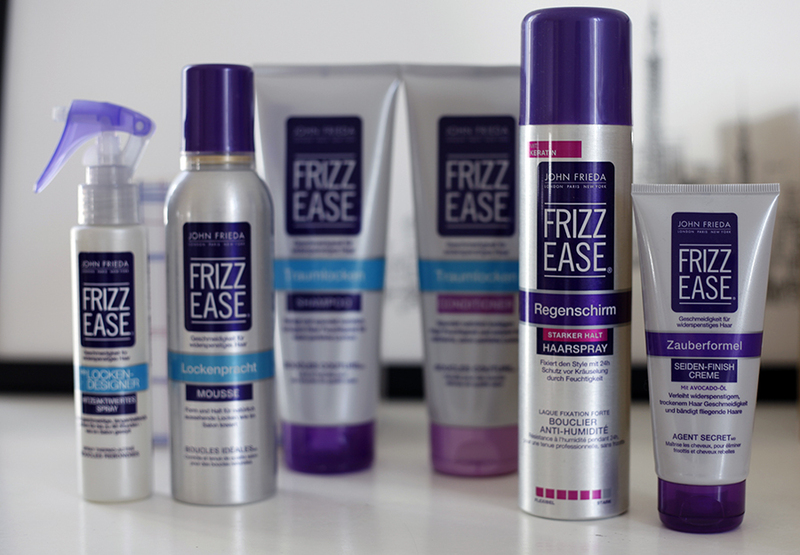 Some time ago I wrote about John Frieda Haircare for voluminous hair. This time, I have tried out products to get dream curls. If you follow my blog you will have recognized that my hair is rather straight. So I tried out the John Frieda Dream Curls Shampoo and Conditioner to see the transformation. After the hair wash, I sprayed the Curl Designer into my still towel dry hair. Then I put some of the Curl Mousse in my hair and blow-dried it with a diffuser. So without any additional treatment - meaning with a curler or a curling iron - a lot more of structure and some soft waves. I fixed it with the umbrella hairspray and put some silk finish creme in the ends to smoothen the look. If you want to use some styling tools this would be the perfect base also for big curls. But as I like it the natural way - I'm happy with the structure I can create without any additional technical stuff. I love the fact that you can create such different styles only with using different hair products. You can see what my hair looked like after the treatment with the products on the pictures below. To participate head over to my facebook! On Christmas I will choose a winner!